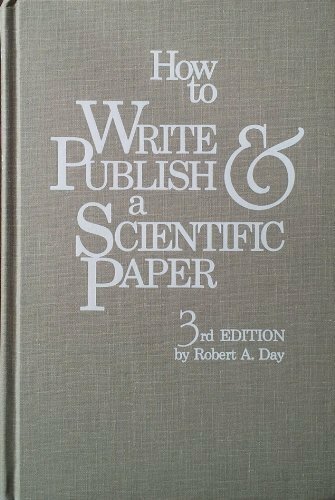 This book includes all the information and advice needed to write and publish a scientific paper. This expanded edition contains new information on electronic manuscript preparation and the use of computers to create effective tabulation. Robert A. Day is professor emeritus at the University of Delaware in Newark, DE.